William Shatner is coming to the Bay Area -- for a special reason. It's back. And it's bringing William Shatner with it. 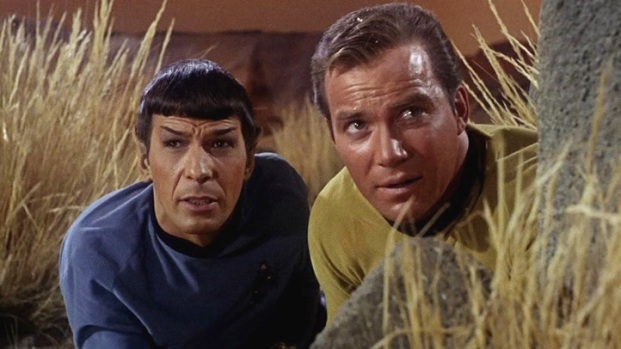 Following a three-year hiatus, the Official Star Trek Convention returns to the Bay Area at the Hyatt Regency in Burlingame, with a Saturday appearance from actor William Shatner, who played the legendary Captain James T. Kirk in the 1960s original series, according to reports. The fun begins Friday, with appearances from John de Lancie, who played the notorious "Q" in "Star Trek: The Next Generation," and continues with a celebration to mark the twentieth anniversary of "Deep Space Nine," according to the San Francisco Examiner. Makeup artist John Paladin will also subject a "thrilled fan" to the laborious latex process and transform him or her into their "favorite alien," the newspaper reported. 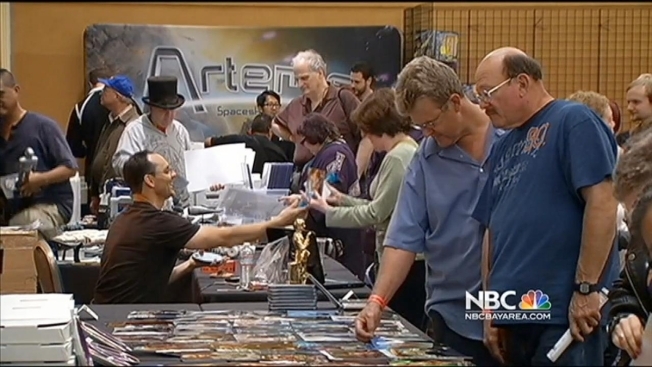 Following a three-year hiatus, the Official Star Trek Convention returns to Burlingame on Friday, with a Saturday appearance from actor William Shatner, who played the legendary Captain James T. Kirk in the 1960s original series. Bob Redell meets up with Trekkies. Other celebrity appearances include three heavy-hitters: Gates McFadden, who played Dr. Crusher on TNG, Mirina Sirtis, who played Deanna Troi, and Number One himself -- Jonathan Frakes, who played Commander Riker. No Picard, but what are you gonna do? Tickets for the three-day event, which kicks off at noon Friday, run from $20 to $50 and can be secured at www.creationent.com/calendar.htm.